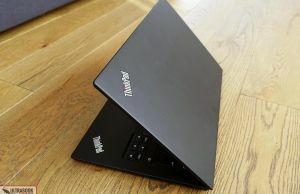 Summary: This Lenovo ThinkPad T480s is a darn good laptop. It’s not necessarily the prettiest, the smallest or the most affordable, but if you’re after a solid computer with little compromises in still a fairly portable package, this has to be be on your list. There are some aspects that I wasn’t completely satisfied with, and you'll find all about them in the article below, but they are rather small quirks in the grand scheme of things, and I'd expect most of you to be happy with this device. You might have to win the QC raffle though, and it won't come cheap. 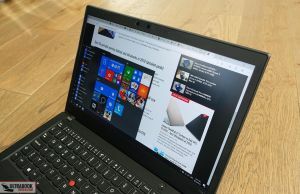 This article is about one of the better ultraportable laptops available in stores in Mid 2018, the Lenovo ThinkPad T480s. 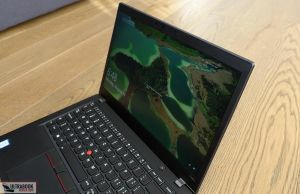 If you’ve read our article about the Dell XPS 13 and the Lenovo ThinkPad X1 Carbon, think of this one as an X1 Carbon alternative in a slightly larger and heavier envelope, bit with a few extra features and customization options, as well as a lower price in most regions. The ThinkPad T480s is still not an affordable computer by any means, as it starts at around $1200 at the time of this article, but there are few similar alternatives out there. 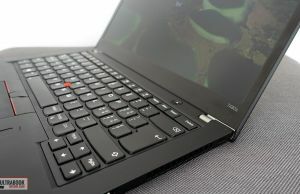 With the T480s you get a very well built notebook with a thinner and lighter chassis than on the previous generations, a quad-core Intel Core U hardware platform, fast PCIe storage, options for matte or touch displays, a fairly large battery and on top of these, the iconic Trackpoint, an antagonizing keyboard and a full set of ports. 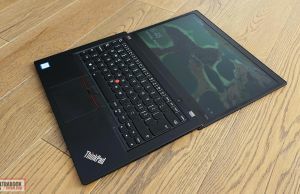 On the other hand, the ThinkPad T480s is not as compact as some of the other options out there, gets fairly poor speakers and is also pricier than some other mid-specked alternatives, but for the most part these should be compensated by the extra features, solid build quality and the theoretically superior support, post-sale and warranty services historically associated with the ThinkPad class. Just keep in mind QC can still be problematic even at this level, so you can run into issues, that’s why I advise you to buy from stores that handle claims and returns professionally. 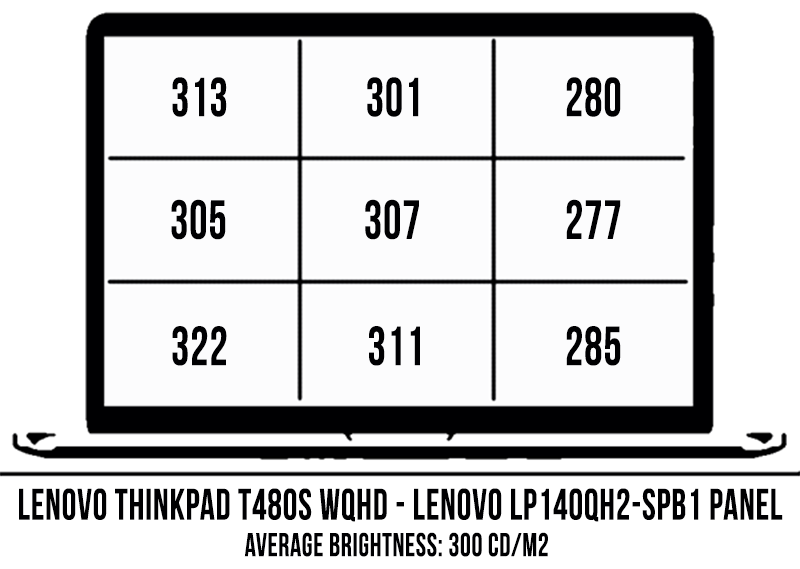 We’ll talk about this series’ bits and quirks in the article below, so read on to find out why the Lenovo ThinkPad T480s is so highly praised by most reviewers, but also what you should be aware of if you decide to go for one. 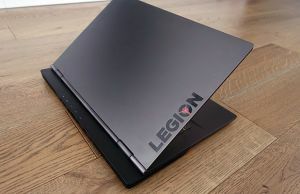 This laptop has been available in stores since February 2018, and that allows us to further look into the issues previous buyers have been complaining about and see if Lenovo did anything to address them 6-months after launch. 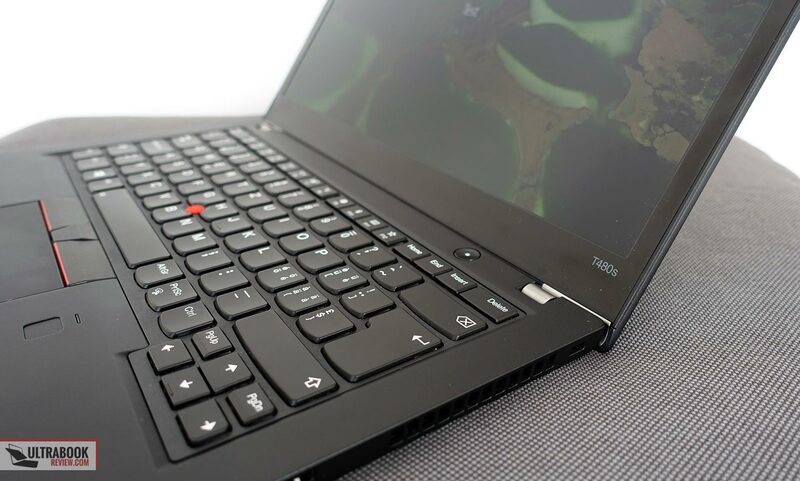 The T480s gets the standard ThinkPad design lines and build characteristics, but in a fairly small and light package. 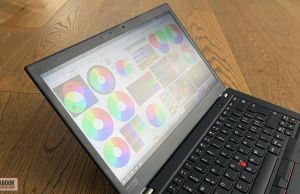 At under 3 lbs and less than .6 of an inch thick, this won’t be a burden to carry around, but is still thicker and heavier than Lenovo’s top of the line ThinkPad X1 Carbon, which only weighs 2.5 lbs. It’s also both thicker and heavier than the top-tier consumer 13-inch ultraportables, like the Dell XPS 13, LG Gram or Huawei MateBook X. The T480s is on the other hand built as very few other notebooks are. The entire case meets a handful of MIL-SPEC tests for reliability and durability, and also feels solid with everyday use, with no flex in the lid or the main deck, no squeaks or warps. And that’s despite the fact that the case and inner chassis are actually made out of a plastic composite, with only the bottom panel made out of magnesium alloy. That’s mostly a solution meant to help cool the internals, something the previous T470s struggled with, and it probably helps, as the T480s no longer runs into similar issues. 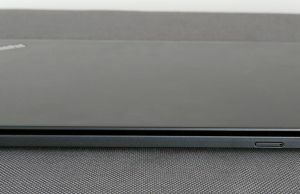 The material Lenovo uses for the T480s’s casing is different than on the X1 Carbon. On one hand it doesn’t feel as soft or as nice to the touch, but at the same time I consider it will deal better with scratches and dents. 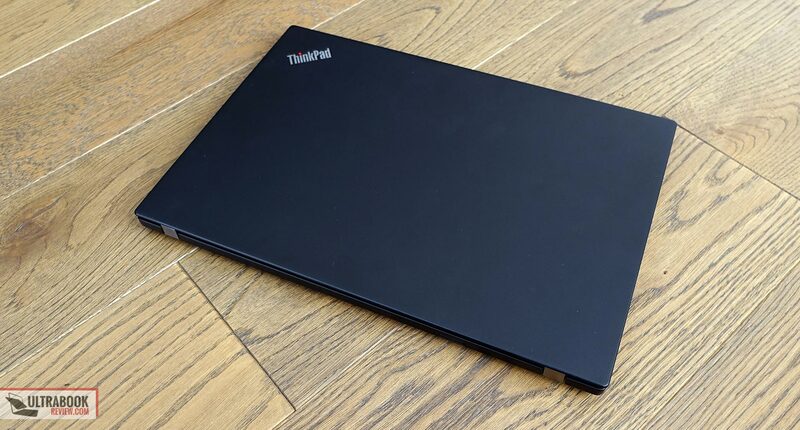 If you’ve read through reviews of the 2018 X1 Carbon, people complain about the case denting and peeling off easily around the edges and ports, but that doesn’t seem to be the case on the T480s. 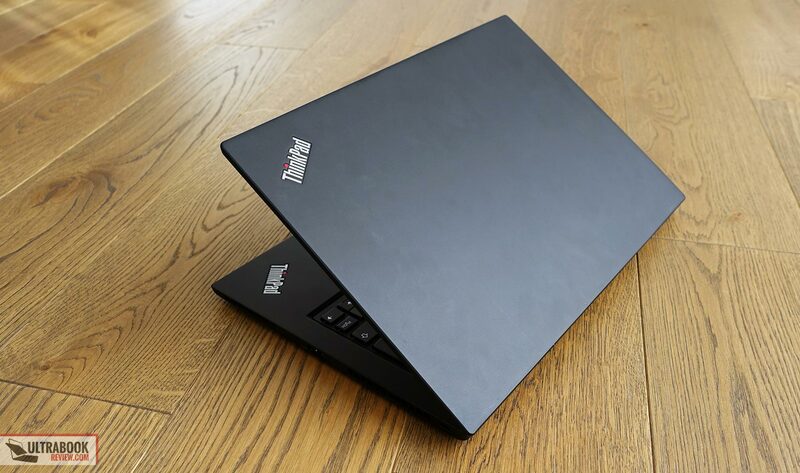 Aesthetically, this is a classic ThinkPad: completely black and with little bling, represented by two chromed ThinkPad logos, one on the lid-cover and another on the palm-rest. There are no annoying status LEDs, but the Power button is always lit and is in the way when watching movies in a dark room, as it’s placed just beneath the screen. 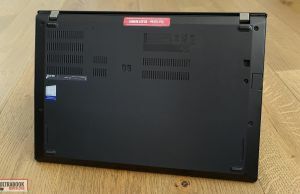 On the practical side of things, the T480s’s screen is hold in place by two sturdy hinges, can be opened with a single hand and goes back flat to 180-degrees on the back, something those of you who don’t just keep your computer on a desk will greatly appreciate. 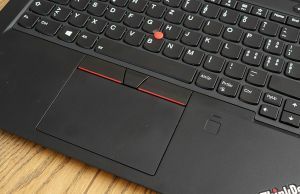 Lenovo should have however put bigger and grippier feet on the bottom, as these are so small that the middle of underbelly actually comes in touch with the desk and that lead to some scratches on our test model, which would get even worse with time. 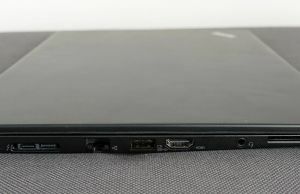 This laptop’s slightly increased thickness in comparison to the X1 Carbon and some of the other premium tier ultra-portables on the market leaves room for a full set of ports on the sides. 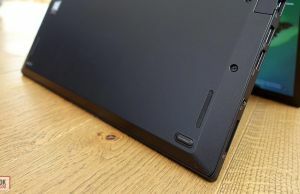 You’ll find two full-size USB-A slots around the edges, an USB-C port with Thunderbolt 3, a full-size HDMI connector for video output, and SD card-reader, a LAN connector, a 3.5 mm jack and a Kensington Lock, but also a sim-tray on the back and Lenovo’s custom docking connector. 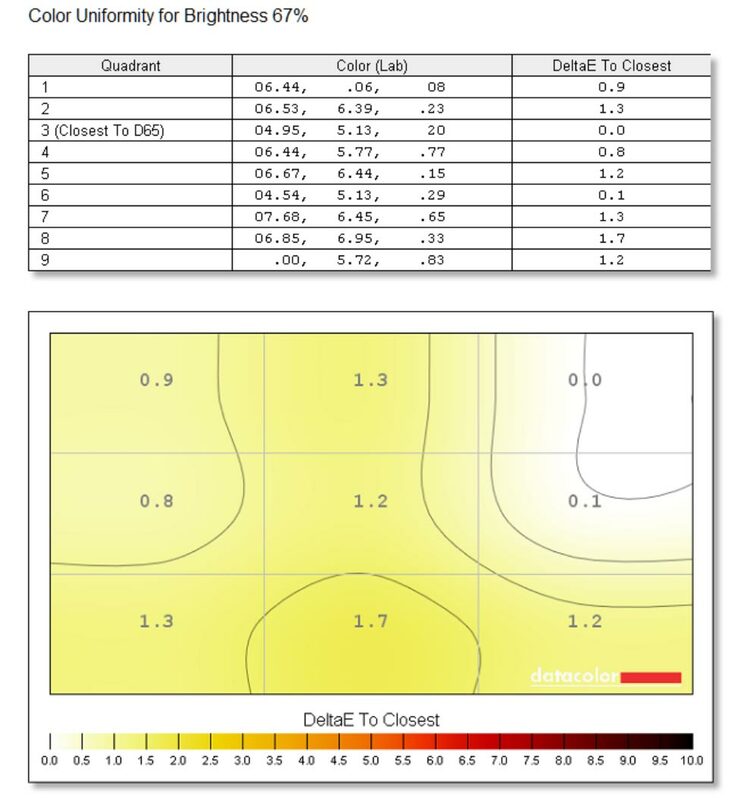 Most of these are placed on the left, which leaves the right uncluttered in case you plan to hook up a mouse. At the same time, the cooling’s exhaust is placed on the right edge, which means hot air will be pushed towards that hypothetical mouse, but that’s only going to be an issue when running taxing loads and not at all with everyday activities. All in all, the Lenovo ThinkPad T480s offers and excellent mix of functionality and portability. It’s not as small or as light as some of the other options out there, but that’s compensated by the complete IO, practically positioned elements and solid build quality. As for the looks, well, it’s a ThinkPad, so it’s for those who appreciate simple black aesthetics with very little fuss. 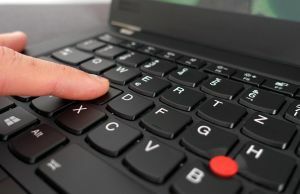 As a ThinkPad user back in the days of their classic keyboard layouts (prior to 2012), I never looked at the AccuType layout of the more recent ThinkPads with good eyes, but I learned to embrace it over the years. Quick forward to 2018, this is these days one of the most appreciated keyboards you can find on portable laptops, but is not without its quirks. 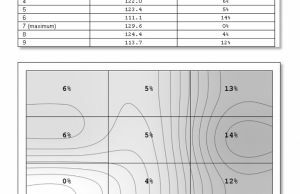 The layout is mostly fine, and it includes dedicated PgUp/Pg Dn and Home/End/Insert keys, even if they’re separated, something professional users complained about when Lenovo switched from the old 7-row layout back in 2012. There’s also a dedicated PrtSc key, and the arrows are functional, albeit small. One final aspect to mention is the fact that Fn and the right Ctrl key are reversed, a characteristic for most Lenovo notebooks, but you can switch them around from the settings or from BIOS. I overall have very little to complain about the layout, but I wasn’t entirely happy with the typing experience on this ThinkPad T480s. The keys feel nice, with a soft finishing and the characteristic concave key-cap, yet they take too much effort to actuate, which for me translated in a fair bit of errors. 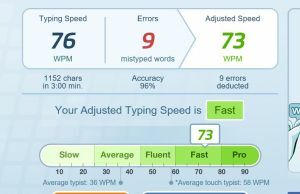 I especially had an issue with the left Shift key during my time with this laptop, a significant part of the mistakes being caused by non-capitalized letters, which I perform by hitting that left Shift with my pinky. Keep in mind I’m mostly used to shorter and easier to press keys, so given enough time I might adapt to typing on this ThinkPad. With several thousands words in the bag though, I still found the experience somewhat fatiguing and actuating each key required just a tad more physical effort than I’m used to putting in this activity. You might already know that Lenovo sources keyboards from various manufacturers, and there’s a chance the device you’ll get might feel different than this test unit, although different doesn’t necessarily mean better. On top that, there’s also the fact that you might just enjoy this kind of harder feedback more than I do, which would make this keyboard better suited for your style. 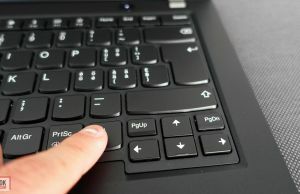 That aside, those who type for a living should also consider that this keyboard gets 2-key rollover/ghosting, which means that pressing more than two keys at once, something that can happen when typing really quickly, can result in a beep and a lack of properly registering those inputs. Doug mentions similar issues with the X1 Carbon in the Input section of this article, and more about keyboard-rollover in general is available in this video. All in all, I’d say this is a nice keyboard and most will like it. It’s not for me though. 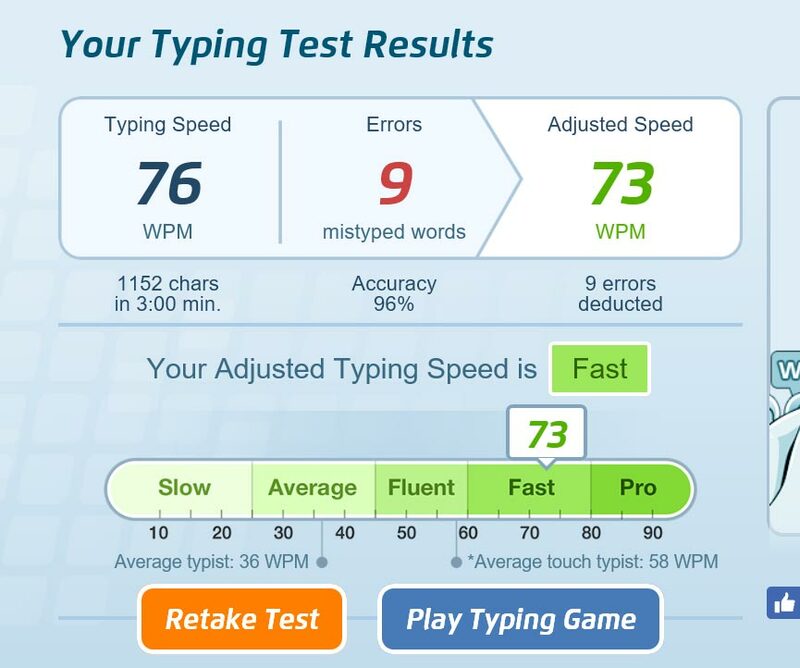 I struggled with that pesky left Shift key, the keys’ high resistance and occasional ghosting, and I’d expect those of you who type for a living to ran into these issues as well. On top of that, I’ll once more stress that keyboards can be somewhat of a lottery with ThinkPads these days, which is appalling for a computer that sells for much North of $1000. Doug also mentioned a horrible experience with the finger-sensor in his review of the X1 Carbon, but I have nothing to complain about it on this unit. I mean yes, it’s not as quick as on an iPhone, but it still takes only about a second to login in Windows and I didn’t encounter any errors or problems during my time with this laptop. 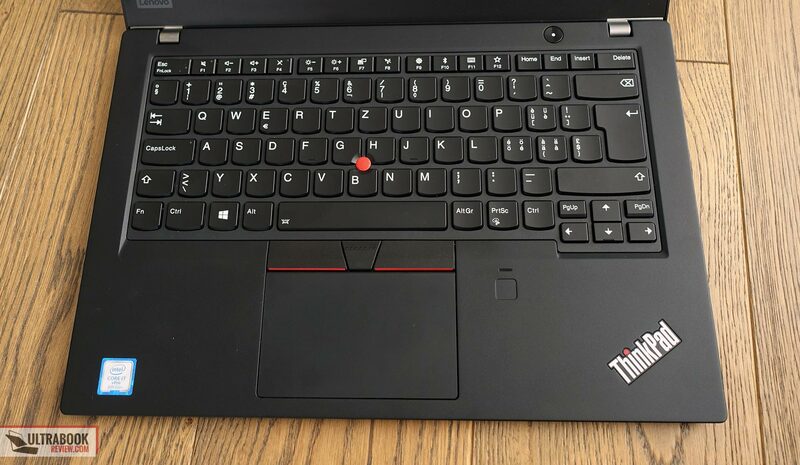 The T480s also gets a very nice clickpad and the iconic Trackpoint, with dedicated physical click buttons between the actual clickpad and the Space key. I have to admit I’m a little biased here, but once you get used to the Trackpoint and these buttons, you’ll hardly like other input methods. The clickpad itself performs flawlessly, although its plastic surface is a bit rougher than the buttery glass surfaces on other laptops. I like the feeling though, and I also like how well this tracks and deal with swipes, gestures and taps. 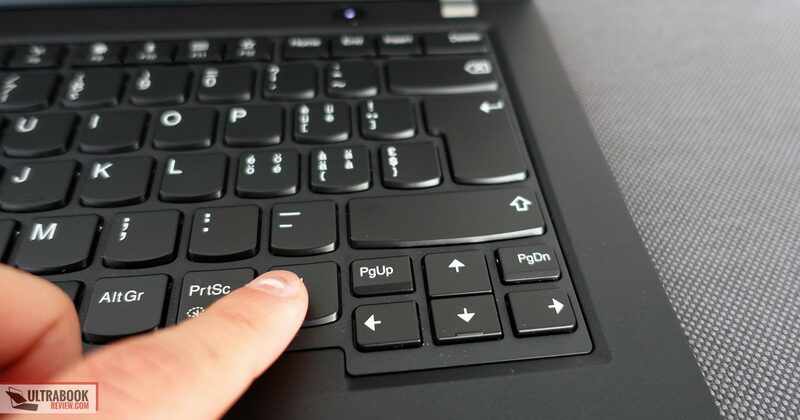 Aside from the physical buttons at the top, the right and left corners of the clickpad also act as click buttons, and they’re smooth and quiet. 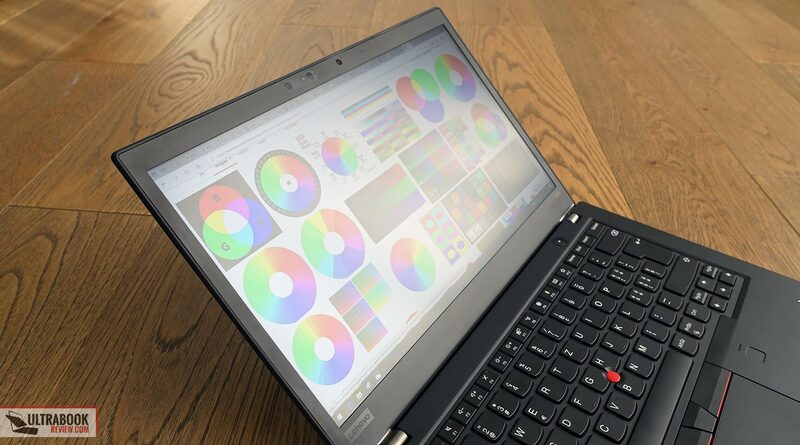 You can get the Lenovo ThinkPad T480s with a few different 14-inch screen options: FHD IPS matte touch or non-touch, as well as an WQHD IPS matte non-touch version. We got this latter model on our test unit, which is a $200 option on top of the base level FHD screen, and automatically bundles an IR Windows Hello camera alongside the standard HD webcam you get with the other panels. This is a pretty good screen. Color accuracy is only about average, so this might not be ideal for color-graded work, but it will do fine for everything else. The increased sharpness, good viewing angles and max-brightness of just over 300 nits make it a good option for everyday use. 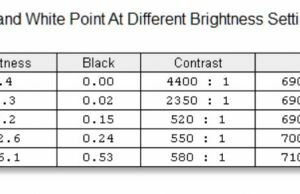 The black-levels at high brightness levels are however a little too high and that has an impact on the measured contrast. Black on max brightness: 0.53 cd/m2. 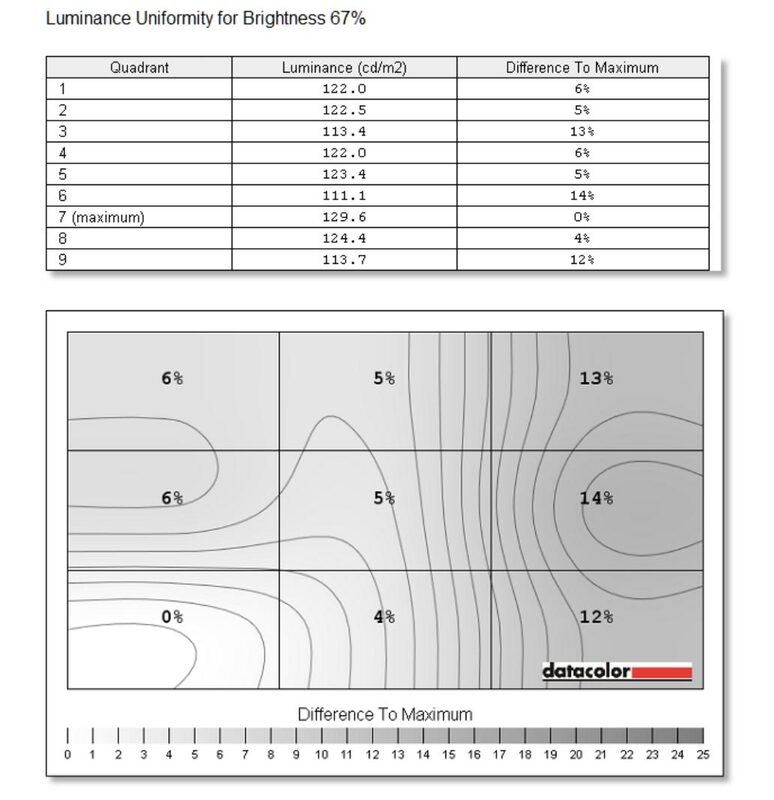 You can use our calibrated color profile to address the slight blue tint and gray-level imbalances, even if this panel is otherwise fairly well calibrated out of the box. 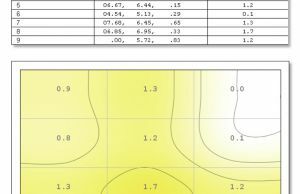 I should also add that this panel doesn’t use PWM, but our model suffered from some slight bleeding towards the lower-right corner and some luminance uniformity issues, with the left side 10-15% darker than the right part. 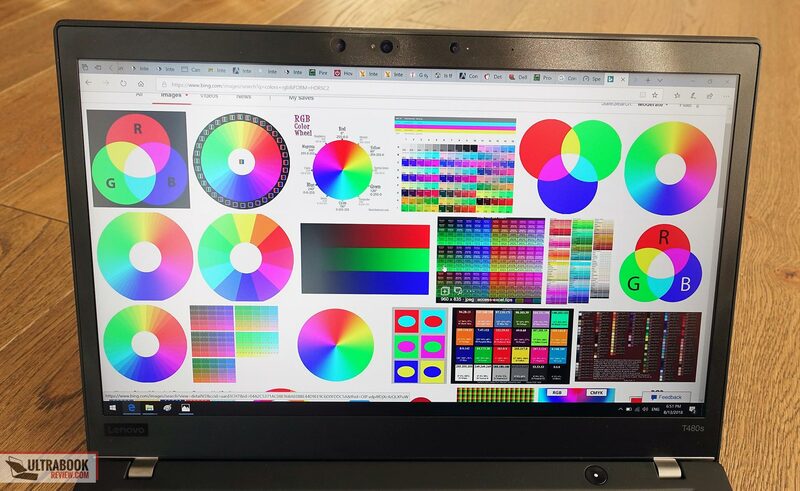 Other reviewers actually got brighter and more uniform panels on their units, which is perhaps one more example of inconsistency with this laptop and another reason why you should buy such a computer from a reputable source that treats complains and potential returns professionally, just in case you draw a short stick. There’s one more aspect I’ll mention here, and I have to admit I wouldn’t have probably noticed it without reading Doug’s experience with the miss-aligned panel on his ThinkPad X1: the screen is a bit skewed on this laptop as well. If you’ll have a very close look at the pictures below, you’ll notice the panel is one mm skewed towards the left inside the frame. There’s about a 2 mm black edge between the panel and the plastic bezel on the right side, and no black edge at all on the left. I doubt most would even notice this and it would definitely not matter with daily use, but it’s one of those things that stick out once you first notice them. That aside, it’s also worth noting that while the FHD screens on this laptop are cheaper and there’s also a touch model that some of you might prefer, you should keep in mind they use dimmer panels, with max-brightness of about 250 nits, which means you’re going to struggle to use them outdoors or in other bright environments. 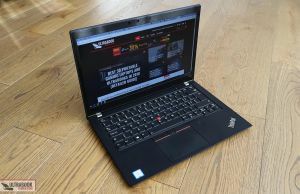 The ThinkPad T480s is available in a few different configurations, and we got to test a higher-end version with the Intel KabyLake-R Core i7-8650U processor, 24 GB of DDR4 RAM, a 1 TB NVMe SSD and no dedicated graphics. The only higher-specked model also gets an Nvidia MX150 Max-Q dedicated graphics chip, which is a base-level option, but still provides better results with games and some graphics editing applications that can benefit from a beefier GPU. If those are not something you’re interested in, than you should just stick with the standard versions without a dedicated GPU. 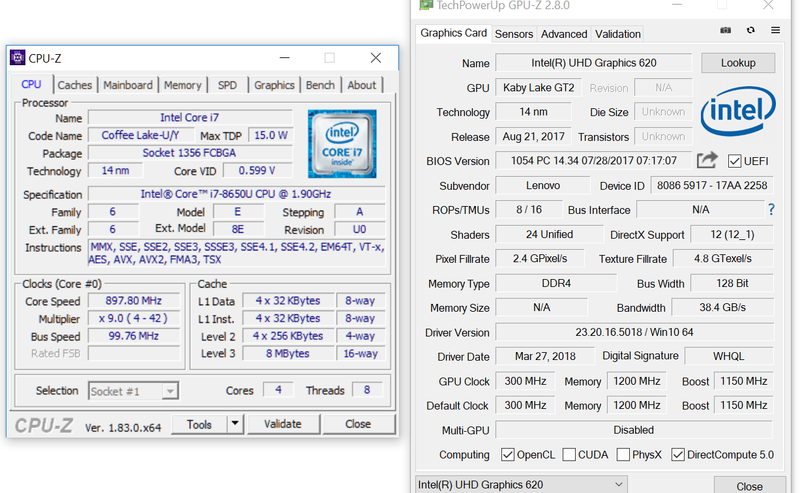 The Core i7-8650U is the professional version of the more commonly used i7-8550U, with similar traits, but marginally higher clock and Turbo speeds, as well as vPro support. 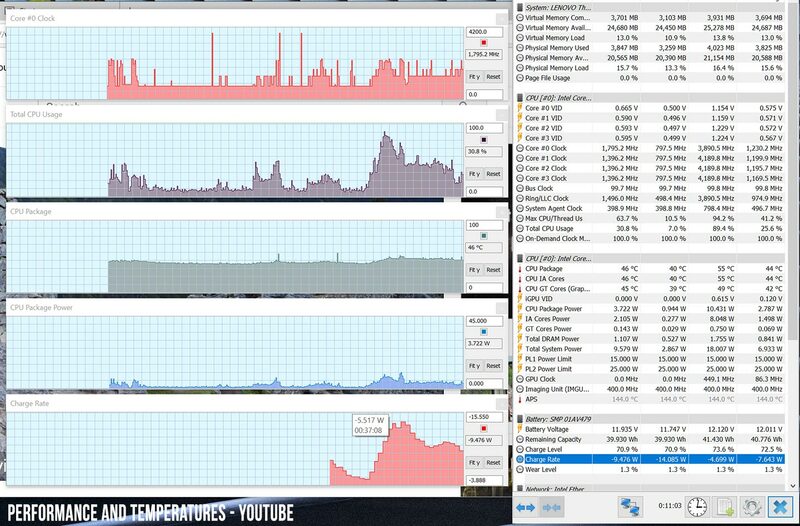 This laptop can get up to 24 GB of RAM. 8 GB are already soldered on the motherboard, and there’s a DIMM slot that can take an extra up to 16 GB module. Due to the design, the soldered RAM runs in single-channel mode, while the extra DIMM runs in dual-channel, which is just a specific quirk and will have very little to no effect in real-life use. 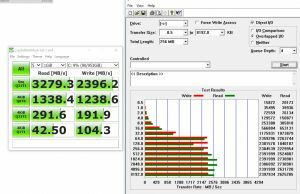 As far as the storage goes, our sample gets a speedy 1 TB NVMe SSD, but keep in mind the base models might ship with SATA SSDs, and even the smaller 256 and 512 GB NVMe options are not going to be as fast as this 1 TB option. Getting inside this laptop is a fairly simple task, with 6 Philips screws holding the back panel in place, which you’ll have to remove. Inside you’ll get access to the memory DIMM, 80 mm M.2 SSD slot, the Wi-Fi and LTE modules, as well as the battery. The clip below shows how to open this laptop and how the internal layout looks. When it comes to performance, this laptop easily handles everyday tasks and multitasking. The new generation quad-core processor, the amount of RAM and the very fast SSD speed everything up and provide a smooth and consistent experience. 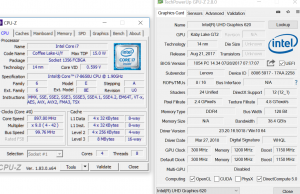 You should however keep in mind that there’s no need to pay for the i7-8650U CPU if you’re only looking for a computer for daily tasks, the i5 options will do just fine as well, for a fraction of the cost. 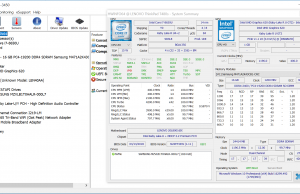 This particular CPU should show its strengths in demanding activities, and we’re using Cinebench to simulate a constant 100% CPU load on all cores. You should keep in mind that we had a fresh Windows install on our test unit, without any of the Lenovo software that comes preinstalled on the retail units, including the Lenovo Power Management app. This way, the CPU could jump much over its standard TDP of 15W, peaking at 44 W and maintaining high-frequencies for the entire duration of the tests. 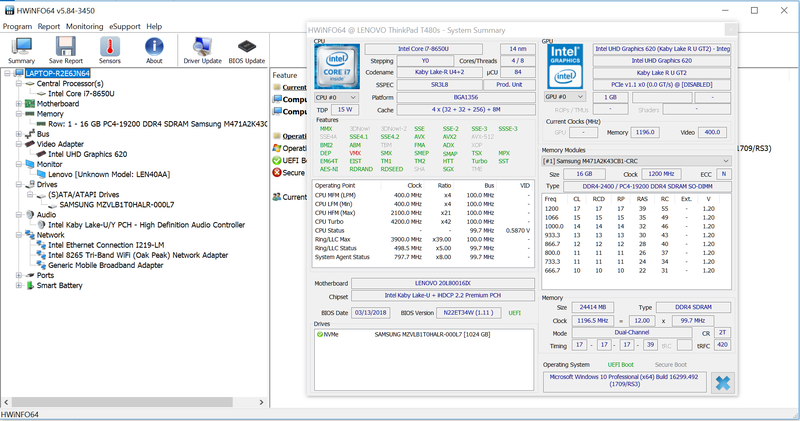 However, while the initial run lead to results of above 660 points, concurrent runs stabilized at around 600 points in Cinebench, with the Turbo Boost frequencies dropping much faster than on the first run as soon as the die reached temperatures of 97-98 degrees Celsius. You’ll find more details in the following log. 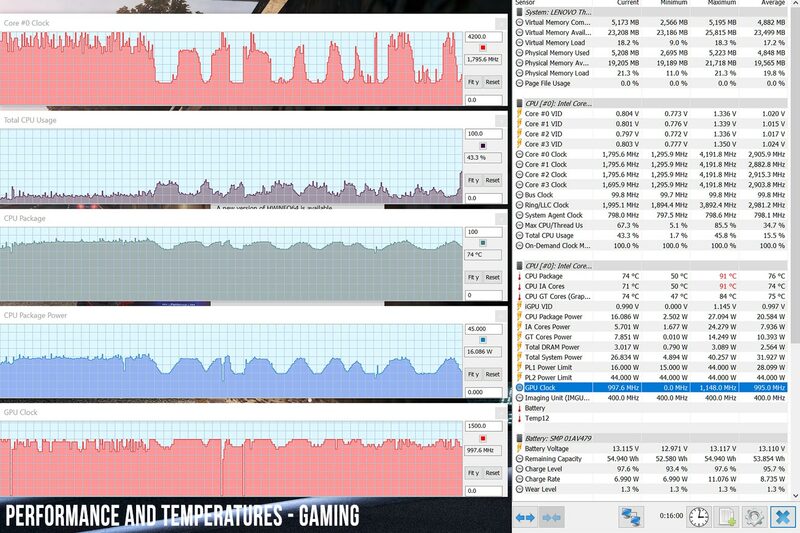 We also undervolted the CPU at -100 mV with Throttlestop and that lead to even higher Turbo Boost frequencies in the first runs, which translated in results of about 700 points in Cinebench, but still correlated with temperatures of around 97-98 degrees Celsius. 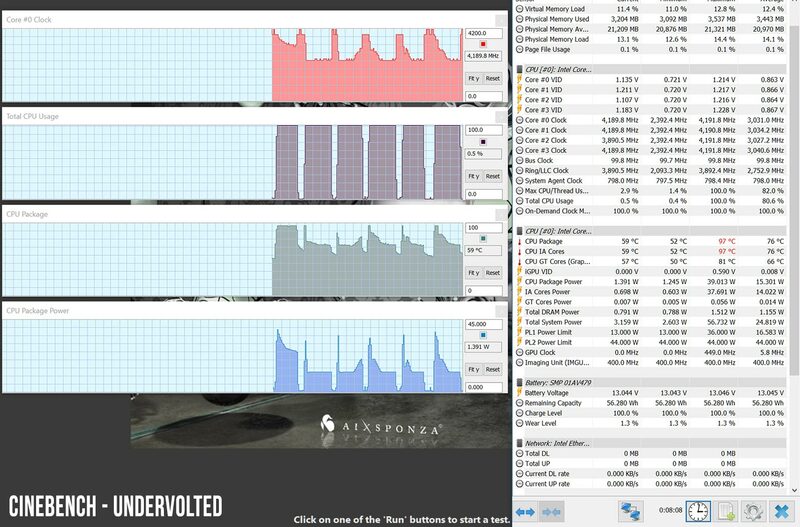 The same level of performance could not be maintained for concurrent loads, with the results dropping to 630-640 points after the first run, as the system capped down the CPU in order to protect it from overheating. Details below. 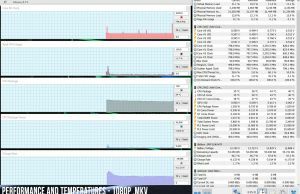 We also simulated a combined CPU+ GPU load with games, even if this is not a laptop designed for gaming. 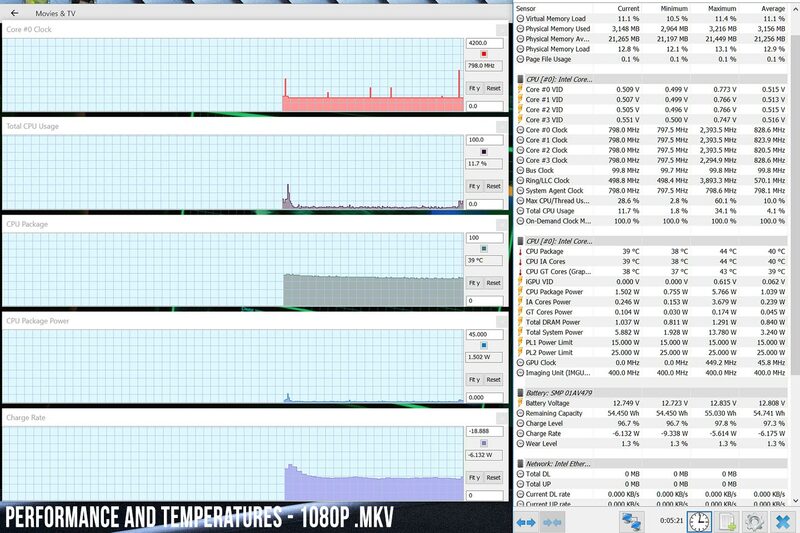 We didn’t notice any obvious stuttering while playing NFS: Most Wanted, but you can see that the CPU occasionally drops to nearly its base level clock speeds, while the GPU also drops below its stock speeds by 50-100 MHz. 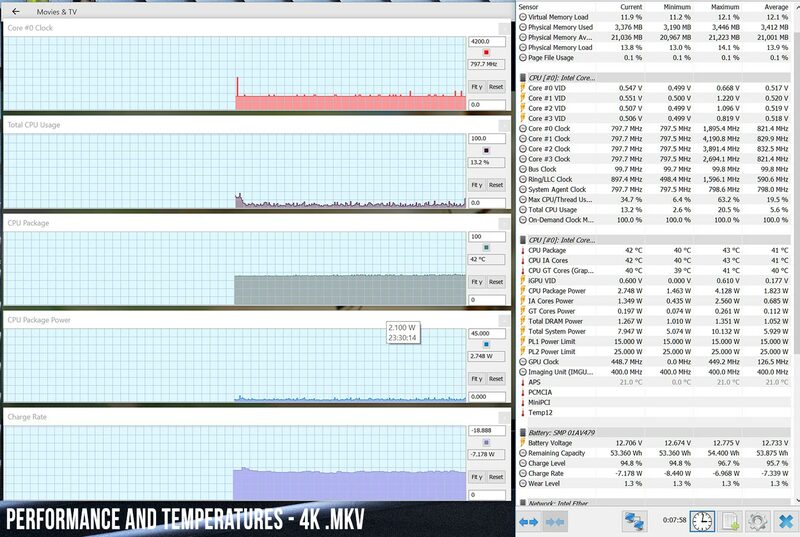 It would be interesting to see how the MX150 configuration performs in games, given that the same cooling would have to handle both the CPU and the extra 10W of the dedicated GPU, but that’s not something we can answer in this article. 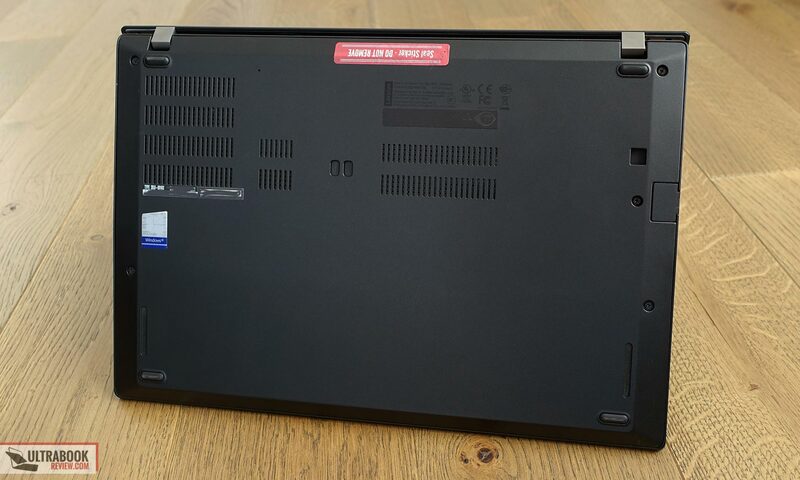 You should however definitely look into this matter if you’re interested in this MX150 version of the T480s. 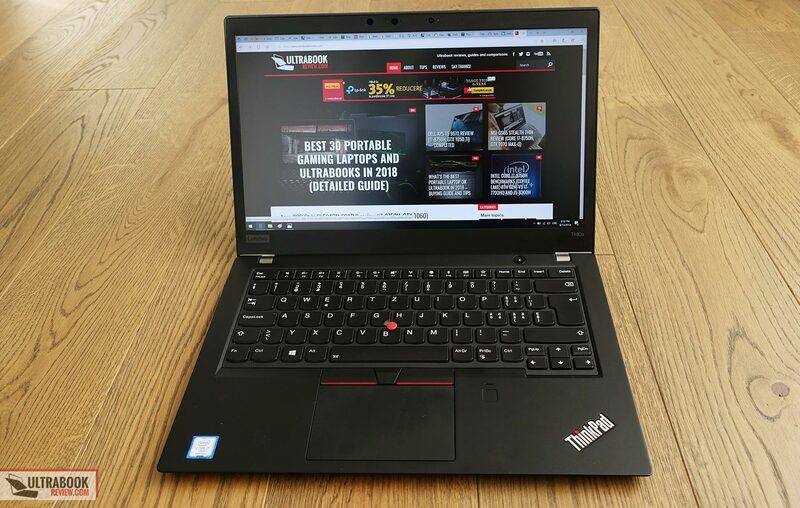 All in all, the i7-8650U performs well inside the ThinkPad T480s and can sustain excellent Turbo Speed frequencies in short-burst demanding loads. These drop with continuous loads, but that’s completely normal with this kind of hardware that’s mostly designed to settle at around 15 W with continuous taxing loads, especially in thin-and-light chassis. 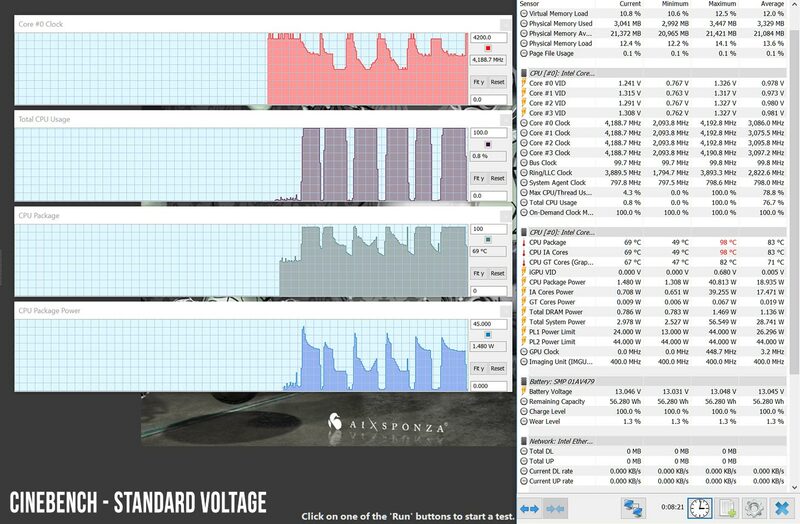 We’ve added some benchmarks results below, for those of you interested in the numbers, for the standard-voltage setup. 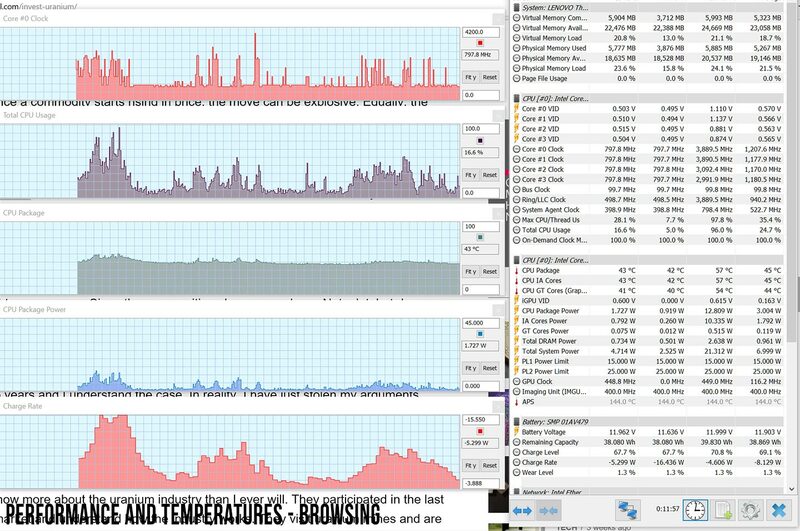 x264 HD Benchmark 4.0 32-bit: Pass 1 – 164.41 fps, Pass 2 – 35.71 fps. 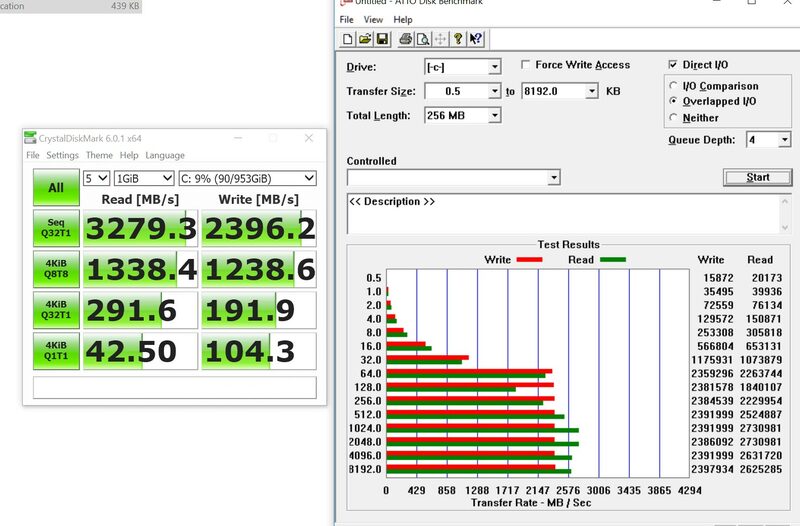 x264 HD Benchmark 4.0 32-bit: Pass 1 – 175.84 fps, Pass 2 – 43.24 fps. 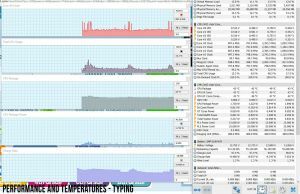 While simple on a first look, the cooling (photo source) Lenovo uses on the T480s is more complex than what you’ll find on most other Core U laptops, and that’s because it is designed to cool both the CPU and the MX150 GPU used in the configurations with dedicated graphics. As you’ve seen in the previous section, this solution mostly keeps the hardware at bay, but the CPU reaches temperatures in the high 90s Celsius with demanding loads, which force it to clock down. The fan inside is inactive with daily use, when this computer is completely silent, without any traces of coil whine or electronic noise. It kicks on with heavier multitasking and demanding loads, but doesn’t go above 40-42 dB at head-level with games, which is quieter than on the average ultraportable. As far as outer-case temperatures go, here’s what you should expect. 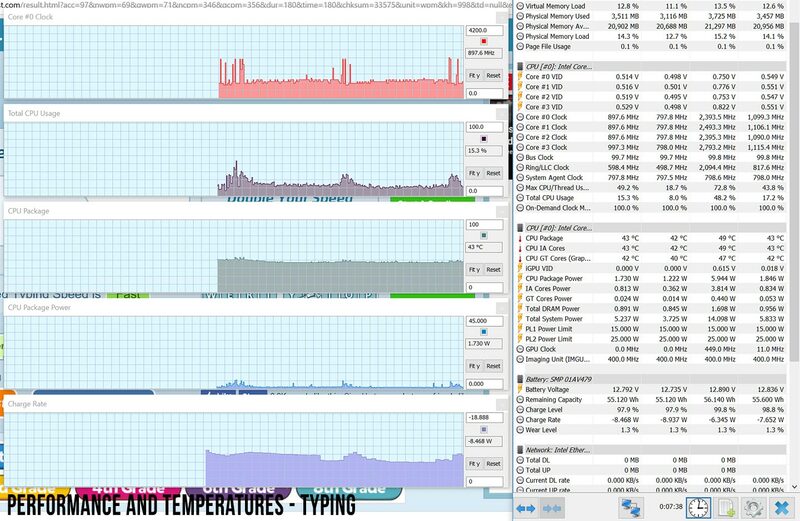 Of course, I’d expect the configurations with MX150 graphics to run hotter and noisier with games than our test model that only gets the Intel CPU with embedded graphics. I’d also expect to see more acute performance degradation with this configurations, judging by how the cooling dealt with our model. 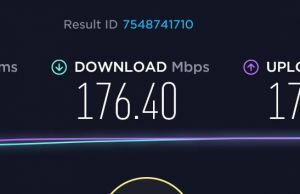 There’s excellent connectivity on this laptop, with Wireless AC, Bluetooth, Gigabit LAN and an integrated LTE modem. 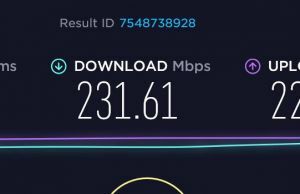 Lenovo went with an Intel 8265 Wi-Fi module and not one of the newer Wave 2 versions, so you’re only going to get mid-level wireless transfer speeds and Bluetooth 4.2 here, but the performance is consistent and the signal strength remains solid at 30+ feet with obstacles in between. I’ve yet to see a ThinkPad with excellent speakers and this one is no exception. The two on the T480s are fairly loud, at about 78-80 dB max-volume at head level, but they sound tiny, with poor highs and little to no lows. At the same time, they don’t distort at high levels, and only push minor frequencies in the main deck. 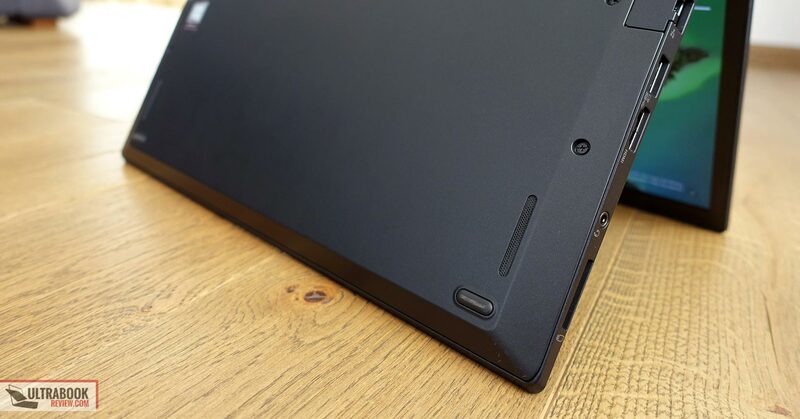 As far as I can tell, the sound could have been improved if Lenovo would have designed the speakers so their grills would have been placed on the angled part of the underbelly and not on the flat bottom, as they are. The very limited amount of space between the cuts and the desk has an impact on the perceived audio, as these speakers sound noticeably nicer when you turn the laptop upside down and don’t have to bounce the sound through a narrow gap. We’ll also mention the cameras included on this laptop. 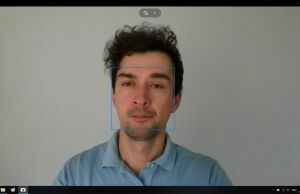 There’s a standard HD webcam paired with the WQHD display option, as well as an IR Hello camera, both positioned above the screen. 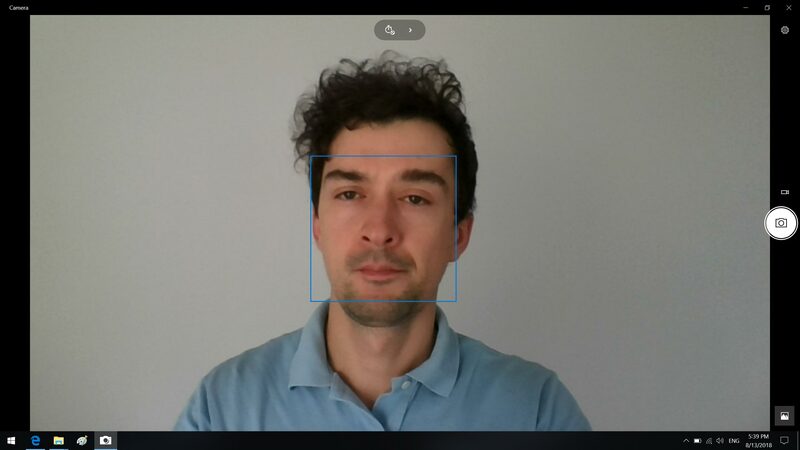 The Windows Hello camera works great and it’s a quick and reliable method of signing into your computer without typing the password or having to use the finger-sensor, while the HD webcam takes decent shots in well-lit rooms, but don’t expect much in terms of quality. The webcam doesn’t get a privacy cover on this version, but one is available for the basic FHD matte screen configuration. 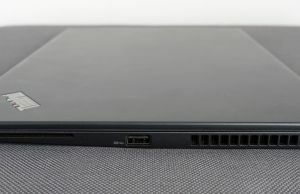 The Lenovo ThinkPad T480s gets a 57 Wh internal battery, which is average in size in today’s segment, but a bit smaller than what similar 14-inch business notebooks offer (Dell Latitude 7490, HP Elitebook 1040). The WQHD screen also takes a small toll over the regular FHD options, but overall you’ll get good battery life from this computer and the ability to quickly replenish the battery from the wall, still just not enough to get you through a whole day’s work though. 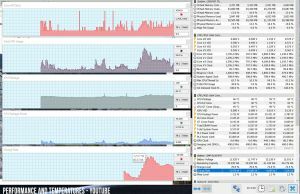 8.7 W (~6 h 30 min of use) – browsing in Edge, Better Performance Mode, screen at 30%, Wi-Fi ON. Lenovo pairs this configuration with a 65 Wh power brick, with Quick Charge (0 to 80% in 60 minutes). It’s averagely sized and weighs around .8 lbs (.35 kg) for the European version, including cables. A full battery charge takes almost 1 hours and 30 minutes. 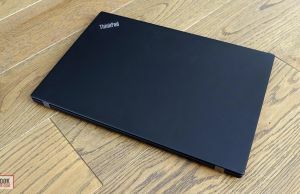 The ThinkPad T480s has been available in stores for months, so at the time of this review it’s already discounted in most places. 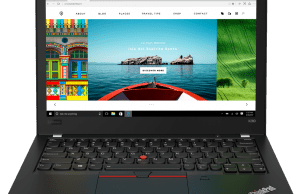 Like with all ThinkPads, you can configure your own version on Lenovo’s website, or you can find preconfigured models in some other stores. 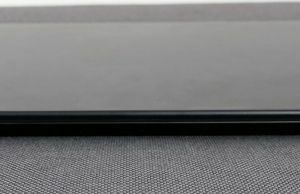 Prices start at around $1150 at the time of this post for the base model with the i5-8250U processor, 8 GB of on-board RAM, 128 GB of SATA SSD storage and the FHD matte screen. 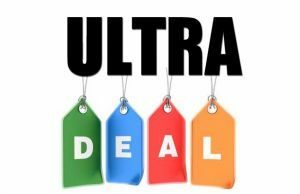 The WQHD screen is a nearly $200 upgrade, the MX150 dGPU a $125 addon (not available in EMEA), while the faster CPUs, more RAM and storage will quickly ramp up the price, thus you’ll have to pay about $1700 – $1800 for an i7-8650U version with 16 GB of RAM, 256 GB PCIe SSD and WQHD matte display. That’s pricey when compared to some of the existing consumer 13 and 14-inch ultraportables out there, but still a fari match to the other 14-inch business computers. You should also consider buying just the barebone from Lenovo, which means the CPU and screen that you want, but only with the soldered RAM and the smallest SSD, and then just add more memory and replace the SSD yourselves. On top of that, you should ask yourself if the i7-8650U is worth the premium Lenovo asks for it, or you’d be better off with one of the i5s, with or without vPro. The ThinkPad T480s is a darn good laptop. It’s not the prettiest, the smallest, or the most affordable, but if you’re after a solid computer with little compromises in still a fairly portable package, this has to be be on your list. There are still some things I wasn’t completely happy with, like the typing experience, the sound quality and the screen’s non-uniform and misaligned panel, but these are fairly small quirks in the grand scheme of things and for most of you they should be compensated by the excellent design and build, the performance, the complete IO or the long battery life. And don’t forget you might not even feel the same about the keyboard, as the typing experience depends on your preferences and what you’re already used to. There are however a bunch of alternatives you can consider instead, like the Dell Latitude 7490 or Lenovo’s own ThinkPad X1 Carbon. The former is a match for the T480s on most levels, with a similar build, design and IO, but imo a nicer keyboard, marginally bigger 60 Wh battery, supposedly better support and 3-year warranty included by default in most regions, something you’ll normally have to pay extra for in the Lenovos. The latitude might not be that great of an option outside the US though, as Dell’s laptops tend to get expensive in these other markets. The ThinkPad X1 Carbon is smaller, lighter and surprisingly, about the same price as the T480s. 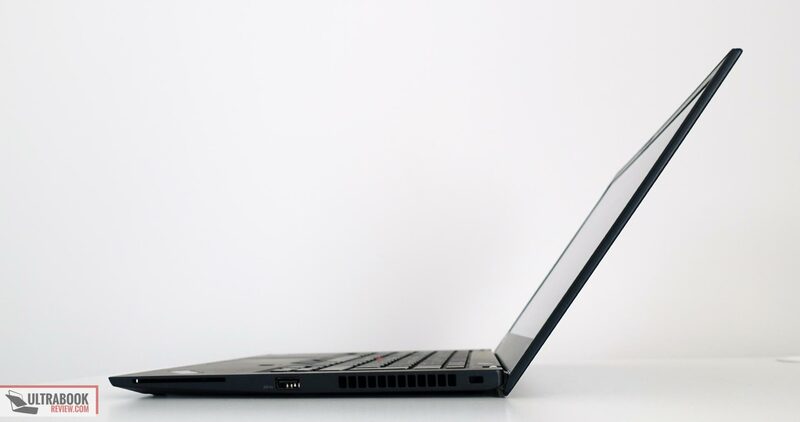 Yes, the base price is higher, but once you speck it up to the i7 CPU, 16 GB of RAM and 512 GB SSD on Lenovo’s website, you’ll notice that the two are about on par, although this might vary according to the discounts Lenovo runs at the time you’re reading this. The X1 carbon suffers from QC and inconsistencies though, which could steer you towards other options. 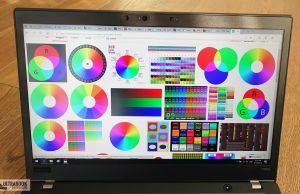 The list of possible alternatives also includes the ThinkPad T480, thicker and heavier, but with an optional 96 Wh battery and a more affordable price, as well as the HP EliteBook 840, with an aluminum construction, brighter screen options and a bigger battery. 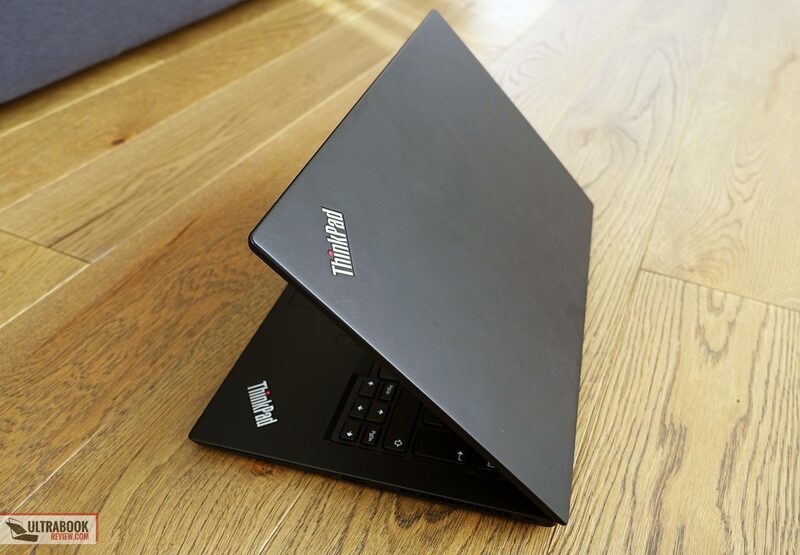 That’s about it for this review of the Lenovo ThinkPad T480s. Let me know what you think about it and get in touch in the comments section if you have anything to add or any questions. 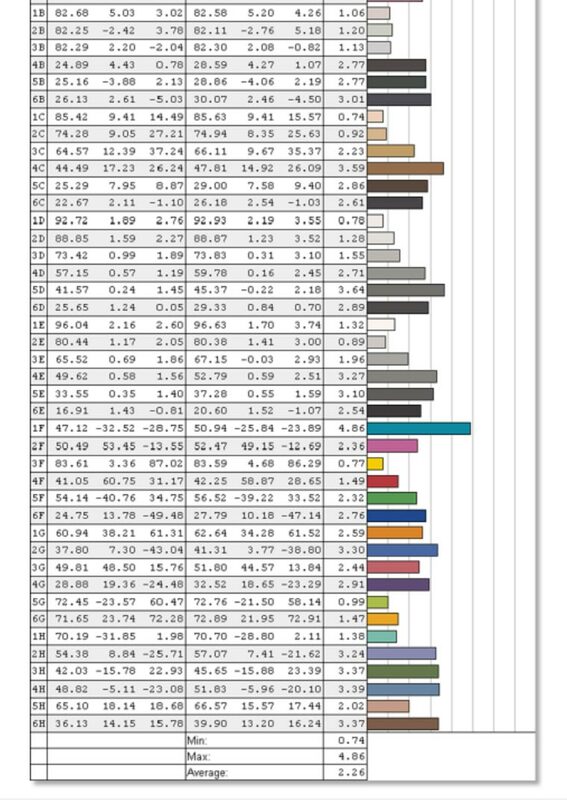 580:1 contrast ratio at max brightness is worse than a modern TN panel. Under 1500:1 is rather unacceptable at this price point. Well, the Spyder 4 that I use usually records lower contrast than other more accurate sensors. Also, 1500:1 is a bit unrealistic imo, around 800+:1 should be enough for most users. I just wish Lenovo would at least offer an option for premium other than X1, that's all. 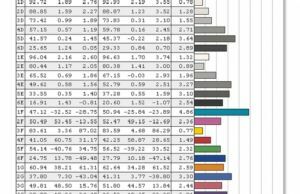 In comparison, Mac, Surface, XPS, and Elitebook provide the best screen choices independent from their product type. The closest competitor to T480s with MX150 is probably Huawei Matebook X Pro and that also has one of the better screens in the industry minus the T480s' business tax. The screen of a laptop is something I look at all day and as such, I can't really apologize for having high standards. It would be a different story if I could afford to own separate devices for leisure but I prefer to have one do-it-all PC. Hi, i was torn down choosing between the X1C 6G and the T480s both in lowest config. 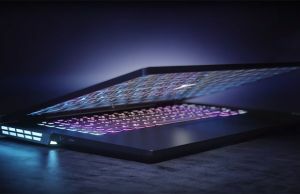 I just returned my Razer Blade Stealth 2019 due to the coil whine and buzzing speakers issue and razer supports is one if not the worst in the industry.I just need a small thin and light laptop for watching youtube, surfing web and some light task school work. It would be nice if you help me to choose which device suit best for me. Any other device recommend is welcome, sorry for my English not so good. Thank you. I think either should be quite good. 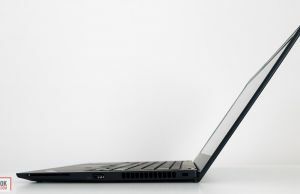 The X1 is thinner, lighter and more expensive, plus you can get it with more screen options. There's probably a little better value in the T480, due to the lower price, but the two are similar in most ways.